Are you looking for muscle building back exercises that will, in turn, help you to develop a back which is fully packed with muscles? If, yes then you have come to the best place to learn the art to execute the exercises. Most people indeed neglect back exercises or do a few pull downs which would not be able to build the muscle that is power packed. You don’t need a lot of exercises to build a back like a beast but make sure whatever you do, do with full concentration and proper execution. Now let us look at the 10 top exercises that can help you in building a great back in a right way without wasting your months’ time. Barbell deadlift is regarded as one of the best exercises if you are thinking of building an amazing body. It will cover up everything from upper traps to calves. But while performing this exercise, you need to be extra careful as this exercise if not implemented correctly can lead to injuries. Once this task perfected, it will help to increase the anabolism, and you will perhaps get an amazing super strong back as a result. Barbell deadlift should be performed by bending the knees and the hips and holding the barbell with an alternative grip with a distance that is shoulder-width apart. Try standing up without rounding the lower back and try contracting your glutes. Pause for few seconds and then drop the bar slowly to the starting position keeping the body intact. 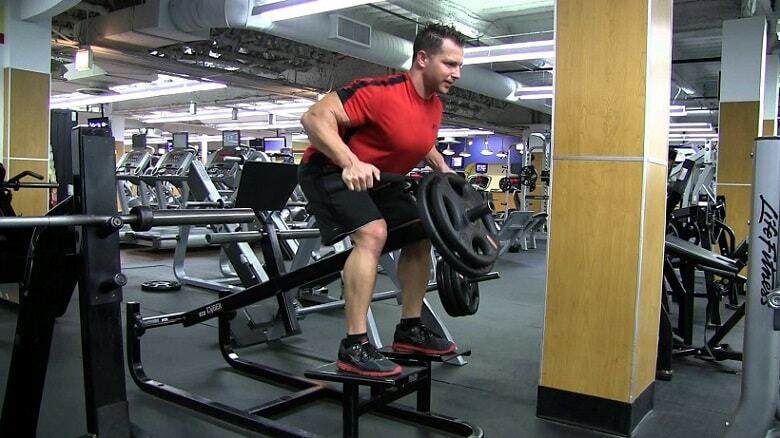 Standing T-bar row is another great exercise which if performed correctly will lead to a great back. Standing T-bar row should be carried out with knees slightly bent throughout the exercise and aiming to achieve a full contraction and stretch of the back muscle. If you want to mainly target the lats try working out with a wider grip. Try to place the bar at the corner so that it won’t be able to move. Adjust the weight as appropriate. 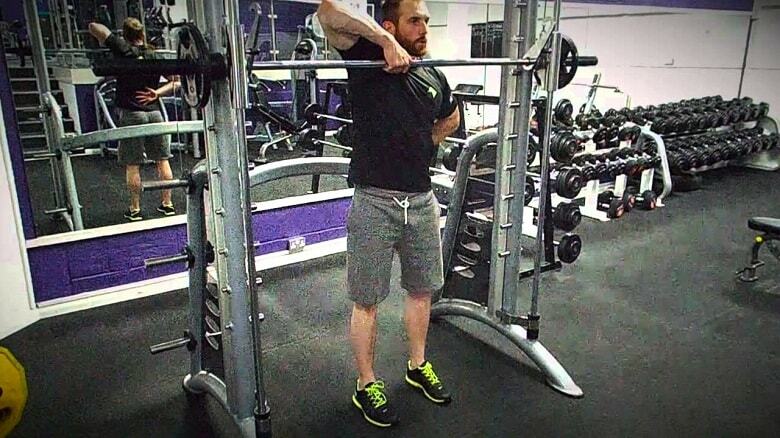 Stand across the bar with a shoulder-width distance and try picking up the bar with the help of your legs and hips. This is considered as the starting position. Try to pull the weight up to your upper abdomen by squeezing your shoulder blades keeping your elbows flexible. Pause for few seconds and then return to the starting position. Seated cable row are a perfect exercise if you wish to make your back, bicep, and shoulders healthy. 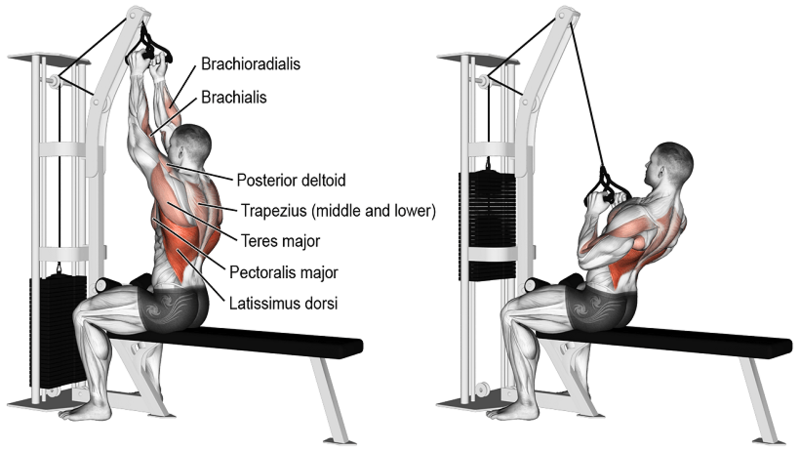 It is particularly suited for lower and middle lats and should be performed at a shoulder-width apart. Start with a sitting position at a low pulley attached cable station and position yourself at a shoulder-width distance apart. Try to push your torso back with the help of your legs keeping the elbows stretched out fully. After this try to keep your shoulders down and chest in the forward direction and pull the bar close to your waist. Close grip pulls down is quite a good exercise for the back as it helps out in the movements of the lat more efficiently. It helps in the wider range of motion and puts the lat under a lot of tension which is quite beneficial for building a great back muscle. In a lat pull down machine try to attach a v-bar and adjust the weight accordingly. With a neutral grip hold the bar with the palms inwards. With your arms extended fully try to sit down on the machine. Keep your back straight and eyes pointing forward. Try to pull the v-bar down until it hits the top of the chest keeping your body still. Squeeze for a few seconds and then move back to the starting position. 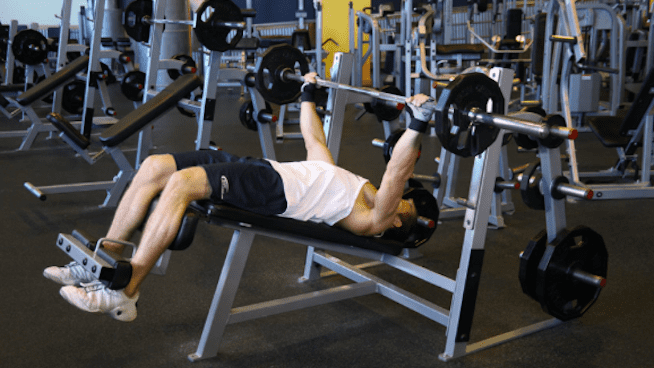 Repeat the above steps for a desired number of reps. Single arm dumbbell row is a great exercise as it helps in the workout of the both sides of the back muscle which helps you to achieve a significant motion and allows to involve a great core musculature. You can also get a lot of support by placing one hand on the bench. Use a flat bench and place a dumbbell on each side of it. Place the right leg on the bench and bend the torso until it is parallel to the floor and place the right hand on the end of the bench. Use the other hand to pick the dumbbell keeping the lower back straight. Pull the dumbbell straight up to the chest and squeeze for few seconds while maintaining the arms at the side. Lower the dumbbell back down. Repeat the above for a desired number of times and then switch sides and perform the same. It is a great single joint move, and it targets the lat very well by providing a greater motion as compared to doing exercise on a flat bench. Proper care should be taken while doing this exercise and you should drop the dumbbell behind on the floor when the exercise is done. On the decline, bench lies down with both the legs in the locked in position. With palms facing out reach out for the dumbbell which is behind your head and at a distance more than shoulder-width apart. Slowly lift the dumbbells up using your hands and pause for few seconds. Go back again to the starting position and do it for a defined number of times. This exercise is very effective for lower lats and is performed on a Smith machine. You would experience a very natural movement while performing this exercise giving a lot of tension on the lower lats. Smith machine should be set up by putting the bar at the lowest point on the setting and adding weight as required. At an angle of 90 degrees stand on the left-hand side of the bar. Keeping the back straight and knees slightly bent pick up the bar from the right hand while keeping the left hand still on the left thigh for giving necessary support. Keep your eyes forward to a specific point and slowly pick up the bar with your arms. Pause for few seconds and slowly lower back to the starting position. Repeat the above steps for a desired number of times and change it to another side. 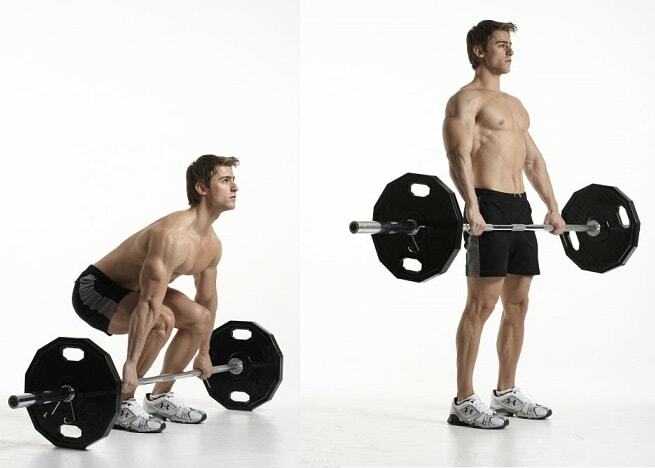 Bent over barbell deadlift is another back exercise that requires a lot of weight lifting. Just like Deadlift, this can help you gain a lot of muscle, but the fact is it needs to perform in a correct way. It is a great exercise which targets the lower and upper back. Stand with your foot inside the bar. Pick up the bar with an alternate grip. Keep your back straight with chest up. Take few deep breaths and pull the bar up to your lower chest and pause it for few seconds. Lower down the bar with arms fully stretched. Repeat it as per the number of times required. The wide grip pulls up is one of the great exercises that you can keep in your routine. This exercise is very much efficient for the upper lats. It is a slightly difficult exercise to start off as a beginner and initially you can take help of a spotter or perhaps a pull up machine. 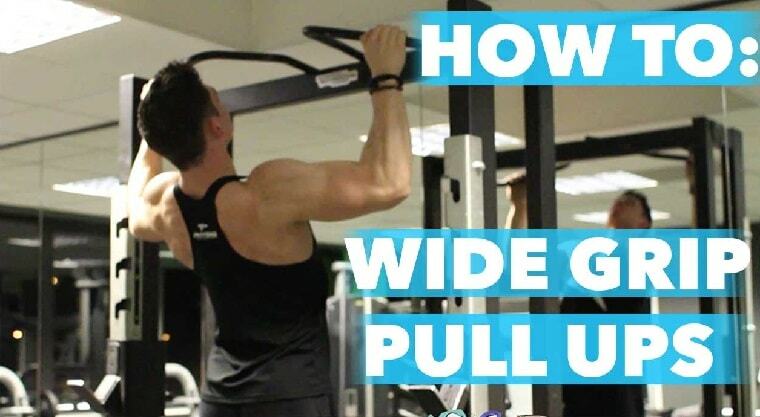 Grab the pull-up bar with a full grip extending your arms fully. This is considered as your starting position. Pull yourself up till your chin is in your hands by giving stress on the glenohumeral joint. Hold for few seconds before lowering down to the position of departure. This exercise is quite efficient as it targets the lower portion of the lats mainly. It is quite a different exercise as it helps to control the weight quite efficiently. Apart from that, you don’t need to worry about how you could balance the weight as your primary focus would only be on pulling maximum weight possible. Attach the barbell to the smith machine approx. 2 inches below where you stand with the knees. Try bending your knees and back and torso straight so that it is parallel to the floor. Try holding the barbell with the pronated grip and remove it from the rack of Smith machine extending your arms perpendicularly. This is considered as the position to start off with. Keeping your elbows try lifting the barbell and squeeze the back muscle for few seconds. Slowly and steadily lower it back to the starting position and repeat the above steps for the desired number of times.